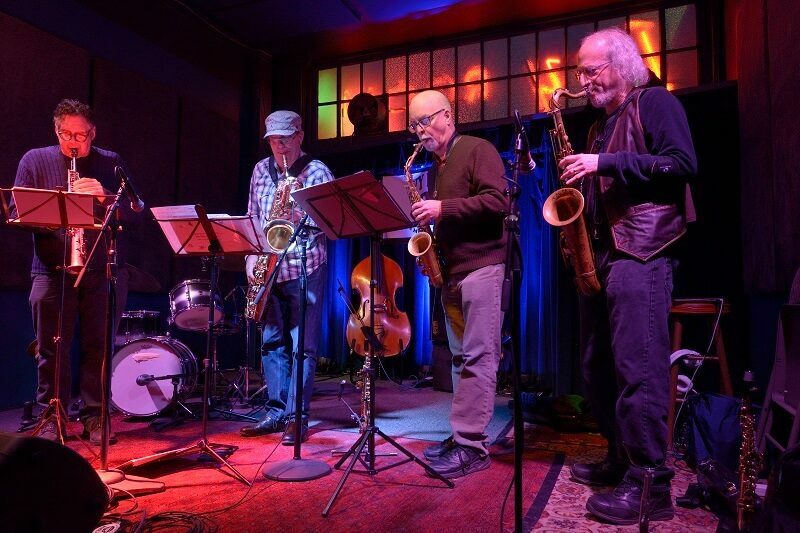 There’s a rich and vibrant scene of underground jazz, improvisation and experimental music that criss crosses the West Coast of the United States that I like to call the “West Coast Underground”. The scene is made up of improvisers from all walks of life, all backgrounds, and multiple musical interests. I guess from my twenty years in the scene that there be many thousands living and creating in Northern California’s San Francisco’s Bay Area alone, yet I’m still discovering new artists even after over twenty five years of performance and concert production. 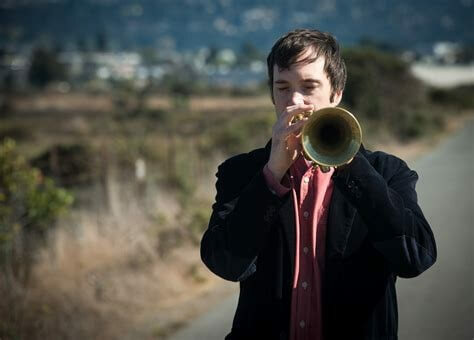 Trumpet player and composer Ian Carey created a powerful set of new jazz composition featuring Lisa Mezzacappa on double bss, Jason Levis drums, Mark Clifford vibraphone, and Steve Adams from the ROVA saxophone quartet on alto and baritone saxophone. For Mr. Carey this was an opportunity to debut a new suite of original music never played before. The group weaved in and out of non-idiomatic improvisation, swing, freejazz, latin and multi-tempo melodic flurries while keeping a high paced energy throughout the set. I look forward to hearing more from this consummate composer. 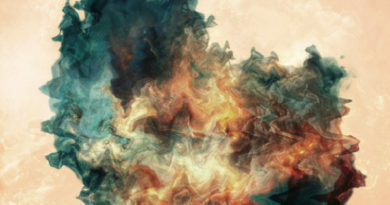 Unbound is a project that melds rock, freejazz, classical and traditional chinese music. David Mihaly and Mark Schmitt along with chinese pianist and pipa player are just one of the many examples of how music meets each other in a place that is one of the most diverse parts of the United States together to create the universal language of music. 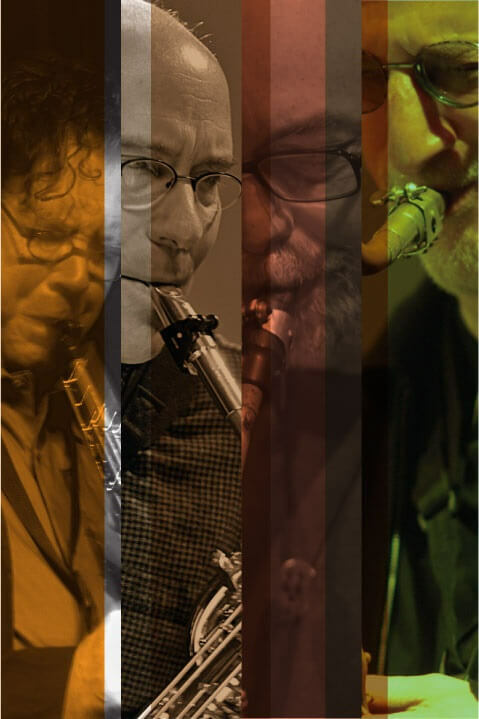 On this night I had the pleasure of attending the 40th Anniversary of the ROVA Saxophone Quartet featuring Bruce Ackley, Larry Ochs, Jon Raskin, and Steve Adams marking the release of their newest CD, “In Transverse Time”. The quartet performed original works from the album as well as vintage pieces from the band’s four decades of repertoire. 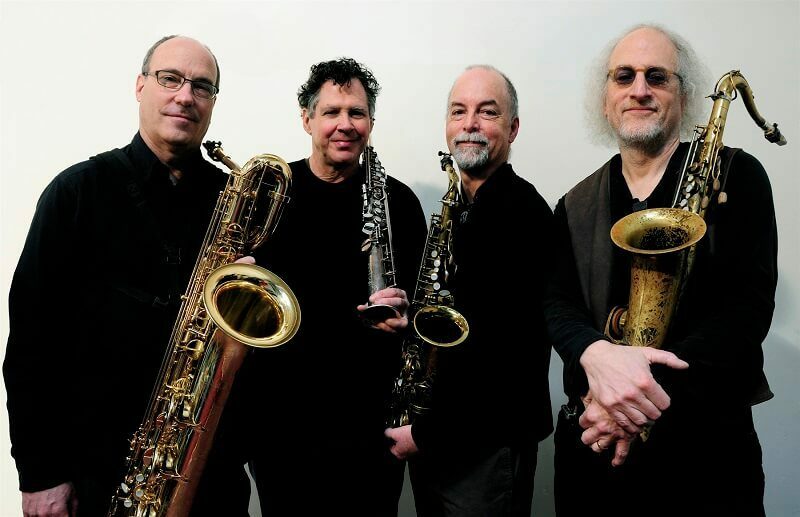 There are not very many creative saxophone quartets with the longevity and history of ROVA where it’s roots are in post-bop, free jazz, avant-rock, and 20th century new music. Everytime I go to hear them it’s always a sonic adventure. In addition to performing and touring throughout the world the members of ROVA also have a long history of being part of the local community working within numerous other performing groups and artists. Their performance this evening was just the quartet but they filled the room with energetic and creative sounds. It was wonderful to be able to hear a full performance of the Dark Forest Suite composed by alto saxophonist Steve Adams which is featured on their new album. 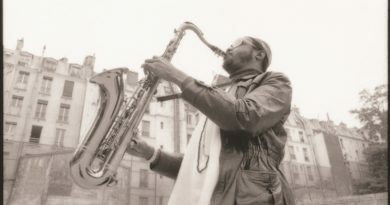 The music brought forth classical free improvisation in multiple elements flowing seamlessly from movement to movement. 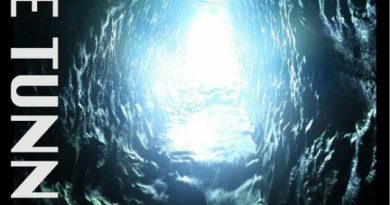 I hear wisps of Steve Lacey at times from Bruce Ackley interspersed within the lush chordal arrangements from Steve Adams. Jon Raskin’s baritone solo rips through with great agility and tonality on this piece as well. In a later piece that night Larry Ochs blew the doors off with his wailing tenor work. During the second set the quartet each moved to a corner of the performance hall and created a quadraphonic experience for those of us who stayed to the end of the concert. All in all i was glad I was able to witness this historical performance and look forward to more from this stellar group. This edition of the SIMM Series in San Francisco was a rare performance of Josh Allen’s Deconstruction Of What You Know topped off by the harsh and unrelenting noise collage of Philip Everett’s solo performance known as Skullkrusher. Josh Allen is an imposing figure on the West Coast Underground with a big massive sound that will for sure knock anyone to ground foolish enough to get to close when he’s playing his tenor saxophone. 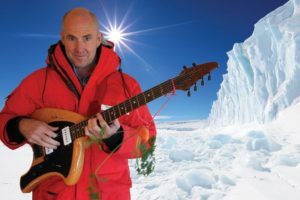 He is joined in the group by long time collaborator and world traveler Henry Kaiser on guitar, percussionist, drummer and Grammy award winner William Winant and the newest addition to the group Aaron Levin on drum kit. As one might imagine this was a loud and powerhouse set of shear sonic enjoyment. The band straddled the line between jazz and rock, new music and esoteric microtonal traditions, and skronk while creating a cohesive improvisational listening experience. The second set featured Skullkrusher. 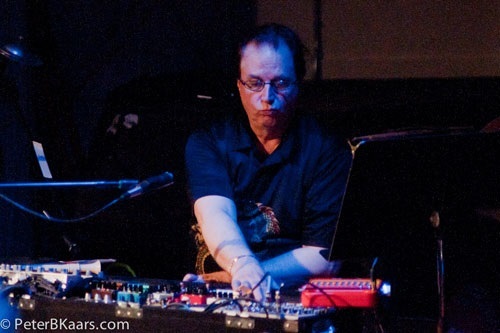 Philip Everett creates dark explosive improvised soundscapes and noise loop sculptures with analog and digitally processed electro-acoustic 36 string lap harp, xlarinet (a plastic red clarinet), brass snare drum and various gongs. 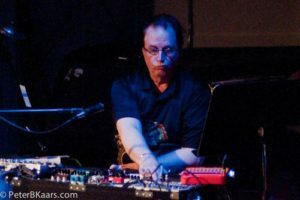 Philip has a unique ability to merge acoustic instruments, with analog and digital electronics making it both musical while still paying tribute to the harsh noise the set up implies.